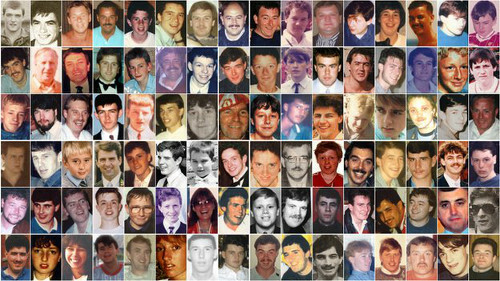 A police officer has denied using a bin bag to cover the face of a victim of the Hillsborough disaster. John Friend, who was a constable with South Yorkshire Police in 1989, said he put his anorak over Peter Tootle, 21, when he found him on the pitch. But Mr Tootle's family said they had seen footage which apparently showed him covered with a bin liner. 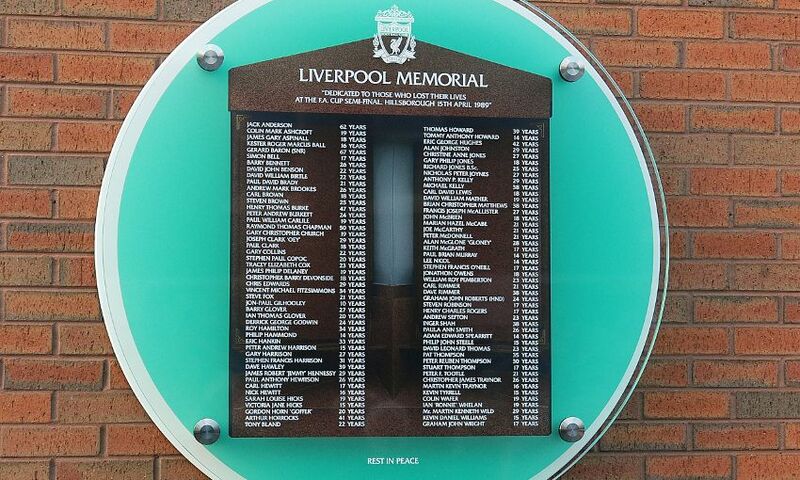 Mr Tootle was one of the 96 Liverpool fans who died as a result of the 15 April 1989 disaster. He worked as a labourer and had been due to go on holiday to Spain, his first holiday abroad. The jury at the new inquests into the disaster heard how fans carried Mr Tootle from the Leppings Lane end of the stadium towards a casualty clearing area at the Spion Kop end after 15:30 BST. In his statement, Mr Friend said Mr Tootle was lying on the floor "his face covered only by his tracksuit top, which he was still wearing at the time". He said: "I checked the man's pulse and pulled the tracksuit from his face. It was obvious he was dead. "I removed my anorak and placed it over his head." Mr Friend said a group of fans used an advertising hoarding to carry Mr Tootle from the edge of the pitch to the stadium's gymnasium, which was being used as a mortuary and place to treat casualties. He said he stayed with Mr Tootle until his death was confirmed. Mark George QC, who represents Mr Tootle's family, said to Mr Friend: "Peter was not covered with your anorak in the gym, in fact it's a matter that has caused some upset to his family that apparently his face was covered with a bin bag, or what looks like a bin bag, which might be thought to be rather inappropriate, even in those circumstances." Mr Friend replied: "No, I'm sorry, that's definitely not my recollection." Video footage showing Mr Tootle in the gym was not played in court, but the coroner, Sir John Goldring, said Mr Friend should be shown the pictures after giving his evidence. Other families have spoken at the inquests of how the temporary mortuary in the gym was "disgraceful" and "atrocious". John McCarthy, whose 20-year-old brother Ian Glover died, said there was "no dignity" for those who died. He also said he had seen video footage showing his brother with a bin liner over his face.